This article was the Collaboration of the month for August 2009. For future reference the Wikitravel:CIA World Factbook 2002 import can be found at Talk:Iran/CIA World Factbook 2002 import. 13 Priority of "Farsi" and "Iranian" over "Persian"
14 . . . URGENT . . . Editing deactivated; Action needed . . . URGENT . . .
25 Desert tour guides-suitable for article listing? Because "Persian" is the English word for the language. It's the ISO name for the language too. It's Iranian Academy for Persian Language's choice for the name of the language in English. Enough reasons? --Behdad Esfahbod. ATTENTION: This is not an encyclopedia. This is a travel guide. Thank you for your amazing and wonderful list of references, but we don't much care. Well, we sort of care, because it took you some work, and we're glad you put the effort into it. I have just undone a lot of User:62.234.145.72's recent edits to the Iran page. 62.234.145.72 seems to be approaching the page from the perspective of a local Iranian from a middle / upper-class Tehrani family. While many of his/her edits--such as those suggesting that physical contact between unrelated men and women is fine when indoors--hold true for liberal, urban households, they can be misleading (and perhaps even cause offence) when applied to the entire country ... especially households in the religious heartlands of Qom and Mashhad. It's also important to keep in mind that I wrote these rules from a traveller's point of view: if a male tourist is invited into a newly-befriended Iranian's home for dinner, it is certainly not acceptable for him to greet the women of the household with a kiss. Suggestions that Iranian society is more liberal than it actually is (especially in the "Respect" section). Again, while many of these suggestions may be true in the liberal cities, it simply isn't true when talking about conservative rural areas and many other parts of the country. Edits that downplay the importance of observing religious protocols and being wary of the government. Given the government's history, and general sensitivity, it is unwise and perhaps rude to initiate political conversation. That doesn't mean that Iranians won't talk to you about politics, but that tact and prudence suggest foreigners should wait for the topic to come up before they launch into discussion on the matter. In Iran, its best to err on the side of caution when it comes to protocol, and travellers will soon learn the intricacies of day-to-day interaction. Edits that downplay traveller fears. I think 62.234.145.72 is trying to make Iranian society sound a little less intimidating to foreign traveller's. This is commendable, but the fact is that most traveller's have some concerns about a society and culture that receives such limited and myopic coverage in the West. The Iran page acknowledges these fears, but tries to put them to rest. Emphasis on the "dictatorial" regime. While the current regime can at best be described as a pseudo-democracy I think 62.234.145.72's push the limits of a NPOV. Remarks from an affluent, Tehrani POV. For example, suggestions that "most homes have Internet access" are totally inaccurate outside of the capital city's wealthy, northern suburbs. Misc NPOV and excess baggage remarks. تور کیش Sorry, I should point out the edit were done by me, Allyak (wasn't logged in properly). If you've got any problems, or questions, yell at me. This is a stunning difference in information. Can anyone confirm which version is more likely? Accommodation in Iran ranges from luxurious, if a little weary, five star hotels (هتل) in major cities to the small, cheap mosāferkhuneh (مسافرخانه) and mehmānpazir (مهماﻧپذیر) guesthouses that are littered about most centres. However, staff in mosāferkhuneh often refuses to provide room for non-Iranians, as these facilities have a recommandation from the Iran's Government to serve only for citizens. Accommodation in Iran ranges from luxurious, if a little weary, five star hotels (هتل) in major cities to the small, cheap mosāferkhuneh (مسافرخانه) and mehmānpazir (مهماﻧپذیر) guesthouses that are littered about most centres. Moreover, staff in mosāferkhuneh often are so happy to provide room for non-Iranians, as these facilities have a recommandation from local governments to serve all tourists. I am a Norwegian with a Israeli stamp in my passport. Will this be a problem for me? he's right! they've just renamed the street, Khalid Islambuli was the assasin of Egypts president Anwar Sadat, they've just agreed to rename the street on diplomatic grounds, apparently --MiddleEastern 10:32, 20 February 2007 (EST). Isfahan – former capital with stunning architecture, great bazaar, and tree-lined boulevards. There's a Persian saying, "Isfahan is half the world." Tabriz – provincial capital in Western Iran; it's been suggested by some that this is the site of the Biblical "Garden of Eden"
Yazd – a remote desert city – circumstance influenced special architectural themes where water streams run in underground rooms in houses and wind-towers to keep them cool. Zahedan – a city near Pakistan's border with a multi-tribal texture. A warning box was just added to the top of the article stating United States citizens are advised against any nonessential travel to Iran. There is no diplomatic tie between the two countries. In addition, insurgency against foreigners in general is known to exist in many places, particularly in and around Tehran. What did you expect? That this adorable Iranian girl (who is hardly recognizable btw) would sign a realease in english? The copyright and complete release for this picture has been given here: . For the rest, a Photo Composite is, by definition, a collage of individual pictures. On the contrary, there is nothing like it to convey a good first impression for a country. I personally find this picture beautiful. What picture do you prefer to represent Iran and why? Please give your opinion below. Thanks. OK, just for the info, I don't work for ANY travel agency and I am not related in any way to the Government of Iran (or the Ministry of tourism in the US) or the State dept. Here are 3 more pics (no collages). Certainly Azerbaijan (Iran) is a distinct region. There at least three languages — Persian of course, but also Azeri (related to Turkish rather than Persian) and Kurdish, there's another Azerbaijan, a former Soviet republic now a separate country. I think we need opinions from folk who know the country better than I, preferably including some Iraninans. Sadly, I can say with confidence that no, we have no Iranian contributors, nor, apparantly, any contributors with extensive travel experience in the country. You could try recruiting Iranian contributors from Wikipedia (although that can be risky), or we can just create the best regions breakdown we can at the moment and leave it open for future revision. Anything would be better than what we have now. And having a region structure of any kind, in my experience, will help attract knowledgeable contributors, who can help refine it. Priority of "Farsi" and "Iranian" over "Persian"
1. "Persian" is the adjective of "Persia". And "Persia" is a name of Greek origin attributed to "Iran". 2. Greece, or territories from which modern Greece has emerged, occupied iran in BC 330. Therefore, the preference of using and requesting foreigners to use Iranian words of "Farsi" (for the language) and Iranian over words made by occuping forces is quite logocal. I'd say "Farsi" if I was talking to an Iranian or to someone else who knows the country. Talking to most others, I'd say "Persian", using the normal English name for that language. It is the same root as "Farsi", just changed a bit as it moved across languages. I'd use "Persian (Farsi)" in a guidebook.
. . . URGENT . . . Editing deactivated; Action needed . . . URGENT . . . Please note the editing of Iran page is currently blocked. Please take the necessary course of action to reactivate the entry as the present entry contains many biased parts reflecting the Iranian ruling authorities' views. In case it is impossible to fix the problem, please delete the entry and open a new page for Iran. I look forward to your reply. I removed this sentence because it is extremely POV, has spelling errors and is unnecessary to that section of the article. "Moreover, some limitations that are quite disgusting for the people forced to abide can be fun for the unaccuctomed foreign tourist who is assured to go back to the normal conditions after the stay." 76.68.210.71 11:49, 16 March 2008 (EDT)h.h. you mention irancell, which does not get signal outside of the big cities, but what about hamrah aval? (MCI) http://hamrahaval.ir it gets signal even in the remote areas of Chahar Mahaal and Bakhtiari. I think they have all the same features as Irancell and they have cheap prepaid SIM cards. 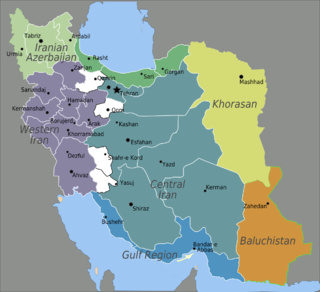 I do not know Iran well enough to give any word on how to divide the nation, but this is the proposal in the CotM: Regions — The country needs to be divided into appropriate regions. Of the other language versions, the Italian version has broken the country into Azerbaijan (north-west), Western Iran, Central Iran, Eastern Iran, Caspian Sea, & Hormuz regions, even giving cities/provinces in those regions. I'd probably add Baluchistan to that. You can use Google translate to help translate the text. 1-The "Understand" section is unlike articles on other countries. In those articles some reasons for visiting the country are mentioned in that section but not in Iran's article. 2-Iran used to be known as Persia until 1935 to Western countries not in Iran itself. 3-In my opinion the subsections on "the last dynasty" and "Islamic revolution" are way too long for such an article and still the whole "History" section does not do justice. 4-Maybe the section "Other destinations" can be subsumed into the "See" section. Desert tour guides-suitable for article listing? I have moved the listing below to the Talk page for consideration of the validity of listing in the article under the Tours policies, namely; "In practice this policy disallows listing most audio tours, walking tours, and guided tours since the substance of such tours can generally be fulfilled by an independent traveler". This page was last edited on 21 March 2017, at 14:50.